Regardless of the reasons used to explain the current mortgage crisis in the United States, the grim reality is that more homeowners are in financial distress than at any other time in the history of residential real estate, according to the Distressed Property Institute. Hence, real estate Short Sales. If you’re not yet familiar with them, you soon will be. They are reshaping the way lenders liquidate homes in default. Historically, these homes would simply be foreclosed upon. Today, the Short Sale offers a favorable alternative. 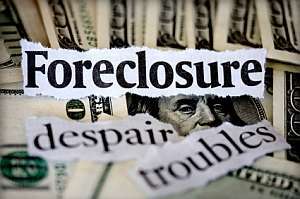 Nolo’s Plain-English Law Dictionary defines a Short Sale as, “a sale of a house in which the proceeds fall short of what the owner still owes on the mortgage.” The lender decides that selling the house at a moderate loss results in less loss and expense for the bank than a foreclosure. Both the lender and the borrower (homeowner) must consent to the Short Sale process. – Until just recently, the lender could seek a deficiency judgment against the borrower for the amount of the loss. Laws vary from State to State, but the lender was able to garnish wages, engage a collection agency to collect the debt, or seek other legal relief. – The lender can elect to forgive all or a portion of the mortgage balance. However, until 2007, the amount forgiven became taxable income. The lender simply issued an IRS Form 1099 to the borrower. The tax implications were dramatic. If the lender forgave $100,000 and issued an IRS Form 1099 to the borrower for the same amount, the borrower potentially wound up owing the IRS tens of thousands of dollars depending on their tax rate. The Mortgage Forgiveness Debt Relief Act was a major piece of legislation passed by Congress and signed into law by President George W. Bush. The Act offered relief to homeowners, who, after a Short Sale, owed taxes on the forgiven mortgage debt. This relief is great news! Most homeowners no longer have to pay taxes on that forgiven debt. The Act applied to debts forgiven between 2007 and 2009, but was extended through 2012 by the Economic Stabilization Act of 2008. The Home Affordable Foreclosure Alternatives (HAFA) Program that went into effect April 5, 2010 is a huge step forward in improving the Short Sale process. It requires borrowers to be fully released from future liability for their first mortgage debt, and, if a second lender receives an incentive under HAFA, that debt as well. Lenders cannot ask for cash contributions or promissory notes from borrowers, and deficiency judgments are not allowed. It also places timelines on the lenders to approve or deny Short Sale packages. Why are these three pieces of legislation important? They changed the Short Sale from a tool that was not widely used in the past to one we feel offers the best solution to distressed homeowners, lenders, purchasers, the neighborhoods where these homes are located, and the housing market in general. With the economic downturn that began in 2008, many homeowners lost their jobs. Others are going through a divorce or have had a spouse pass away. Losing that income makes it very difficult, if not impossible, to keep up with mortgage payments. Most of the individuals or families we consult with would rather lose anything but their home. They often stop paying credit card bills or even car notes in an effort to keep their home. Eventually though, they just can’t keep up with the mortgage. 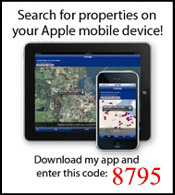 That’s where we can help with a Short Sale. Sadly, 80% of Americans facing foreclosure have never picked up the phone and talked with their lender or a real estate professional. Excerpt from The Field Guide to Short Sales. Copyright © 2010 by Tom & Gina Branch.